Dining out is no longer limited to restaurants these days. There are increasingly more chefs who venture into private home dining, and here are some of the hottest private dining experiences in Singapore right now. 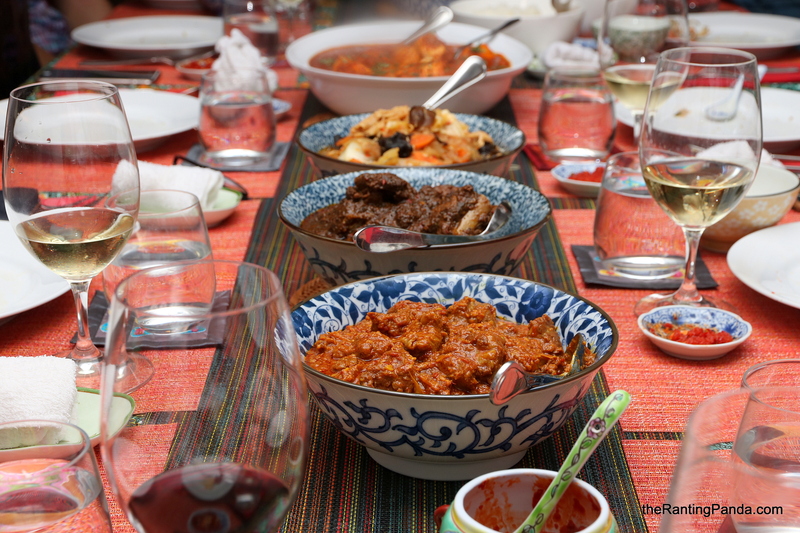 By celebrated make-up artist Tinoq Russell Goh, Tinoq Private Dining is housed in a HDB estate in Tiong Bahru and it is the private dining spot to head to if you are a fan of Peranakan food. There is only one seating a night in the living room, which fits between 8 to 10 persons. At S$120 per head, some of the highlights for us is the Bakwang Kepiting, Nyonya Chapchye, Beef Rendang, Ngor Huang and the delicious Fried Yeefu noodles with mushrooms. Run by homegrown Chef Shen Tan, the venue of Ownself Make Chef takes place in a HDB flat in Commonwealth. The menu is quintessential Singaporean, with themes on the menu like aPORKalypse, Sinfully Seafood, Majulah Singapura Lor!, Rice To The Occasion, and Lock Stock & Broth. The dishes are quite a creative take of Singapore dishes, where you can expect the likes of Uni pork rice bowl, Pork rendang with scallion pancakes fried in lard, Laksa suckling pig with lard sambal and Bacon ice cream sandwich. This is from the aPORKalypse which I tried. One of the latest entrants to the scene, Dearborn focuses on Modern American cuisine due to Chef Christopher Kong’s culinary background back at Seattle. A 6-course menu is priced at S$138, not cheap by private dining standards, with a focus on greens, grains and sustainable seafood. Chef Kong’s past stints at Waku Ghin and the now-defunct Guy Savoy, where the presentation of each dish is nothing less than what you can expect of a fine dining restaurant. One of the surprise highlights is the home-baked Sourdough bread and home-made butter, served as a main course on its own. Penang style Peranakan food? Located at a landed property in Bukit Timah, some of the signatures at Ampang Kitchen include the prawn noodles (which is only available for lunch), rojak and cendol. Dishes are prepared from scratch, with lunch priced at S$60 for six dishes, while dinner is at S$100 for nine dishes.